Managing a project is a multidisciplinary undertaking. At any given moment, a manager will have a multitude of activities to oversee, each requiring a unique skill set that enables them to get things done in an effective and timely manner. The issues faced by managers are typically universal and can be categorized as the '7 Pain Points of Project Management'. Mastering this pain can really help managers improve their management practices and develop a management style that works for them and their subordinates. Facing these problems ultimately helps project managers run their operation more smoothly and with less room for errors. Organization is often the most time-consuming part of a manager’s work life. Planning, delegating and keeping track of delegated tasks are processes essential to getting things done in an orderly manner. Once these processes are set, however, a manager is able to concentrate on other important responsibilities. Getting the organizational aspect of a manager’s job together is a great foundation for good management practices to be set in motion. Organizational tools, such as online task management platforms, help to ensure that teams are on-task and organized without requiring a manager to remember each action item that is delegated to employees. 'Accountability' is a hard pill to swallow for most employees. It ensures that those who have been delegated to complete a task have taken on the responsibility of executing it to the best of their ability. No one likes to be liable for what can potentially go wrong on a project. Managers must be able to allocate accountability to their subordinates clearly and without any opportunity for misunderstanding so that there is transparency about who is responsible for what. This can be a particularly difficult thing to do. When a large team is working together, the likelihood that certain details get overlooked or that parts of communication get lost is quite high. Being able to see everything pertaining to a given activity in one place can be a great advantage. Having a single location where all information is consolidated can help a manager keep track of delegated tasks, access all version of a task or project, and inform all participants of changes at the same time. This can save much time and confusion. While managers often find follow-ups to be boring and time-consuming, it is essential that a manager has an inkling of the overall state of things. Knowing who was allocated to what task and how they are trying to achieve this task is an important part of good management. Managers must work to ensure that follow-up becomes an easier process to deal with, which willhelp to keep things in check in the long run. This is another instance where an online task management platform allows managers to both save time and effectively manage employees. Providing solid, clear feedback is a key responsibility that is an extremely important part of management. A manager can only fulfill this responsibility if there is an established set of practices to collect data on an employee’s performance. Evaluation must be backed up with evidence, and be well analyzed, so that team members feel that the manager has their best interest at heart. Some online management tools even offer a way to provide feedback to employees based on performance and overall task completion, which allows managers to give thoughtful, fact-based evaluations. Information is a powerful thing in organizations. Sometimes information may not be readily available to all employees at all times. When everyone is privy to the same information, it generates a healthy transparency within teams that can lead to continuous improvement in performance. Providing good feedback can be a point of difficulty for managers who don’t enjoy confrontation. Feedback can be easy to provide to subordinates who are doing well, as the manager must simply reinforce their good work and encourage them to maintain their performance. However, when providing feedback to those who need improvement, managers must exercise tact and finesse so that employees are well aware of the issues with their work and feel an urgency to do better. Subordinates must also feel that they have time to improve their performance and come back to the manager with improved results. The '7 pain points' are not easy to endure, but as with most things, practice makes perfect. Managers should strive to employ their skills and experience to make sure these '7 pain points' become part of their daily process to prevent larger issues with both projects and employees. 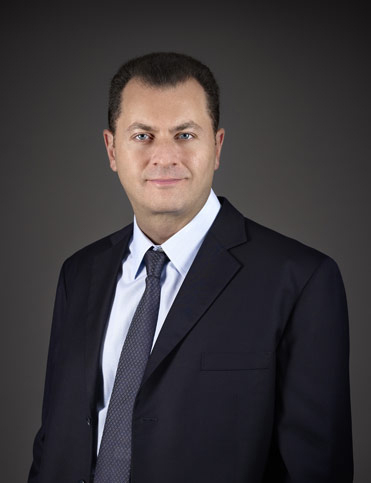 Fred Mouawad is a global citizen, portfolio entrepreneur, and fourth generation Co-Guardian of Mouawad, the family jewelry business. Mouawad created his newest venture, Taskworld, out of need for a task management platform that not only keeps his teams organized, but also is the first to provide accurate, metric-based performance evaluations on assignments.